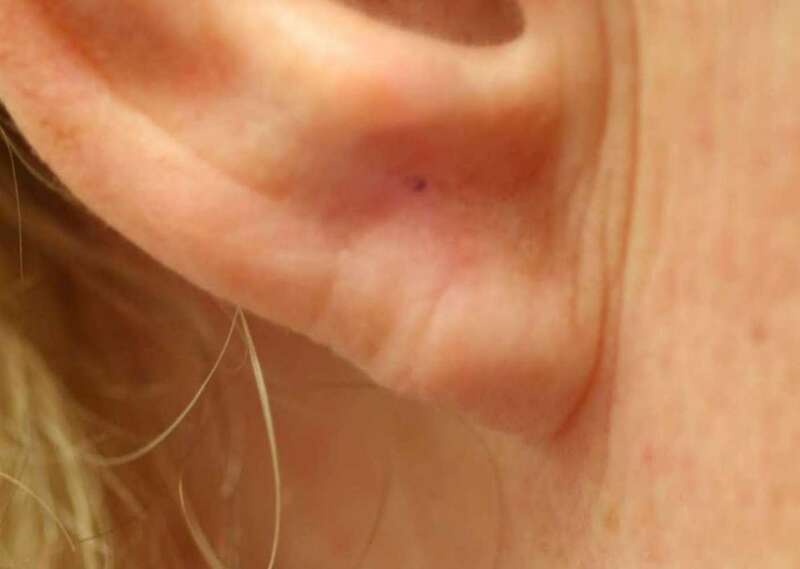 The recent trend to pierce the upper part of the ear has led to a number of cases of chondritis, an infection of the cartilage. Pseudomonas infection is a common culprit. 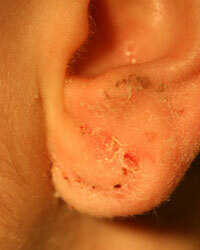 Chondritis, once established, often causes significant destruction and collapse of the ear. The majority of patients are also smokers. 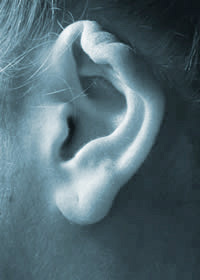 Total ear reconstruction is sometimes necessary. 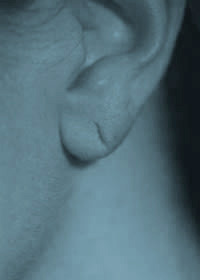 Piercings of the lobe often elongate and sometimes cut through the lobe, especially when very heavy or base metal earrings are worn. 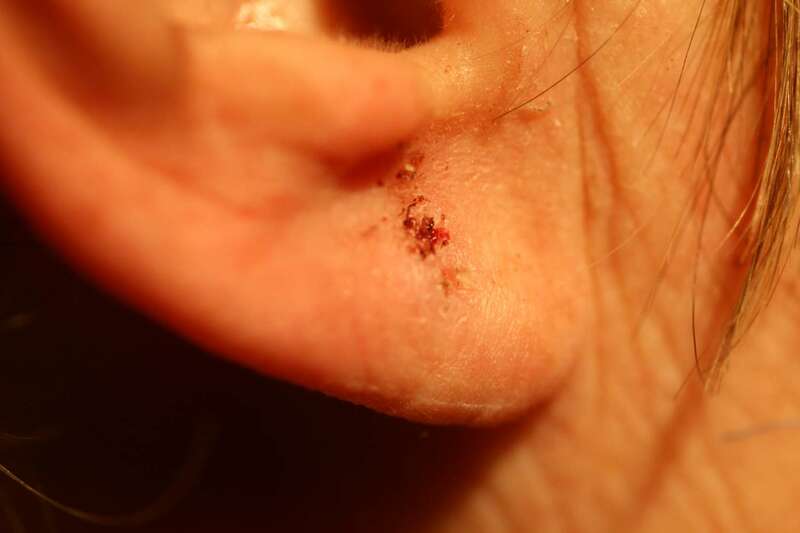 Repair is relatively simple and usually possible under local anaesthetic. 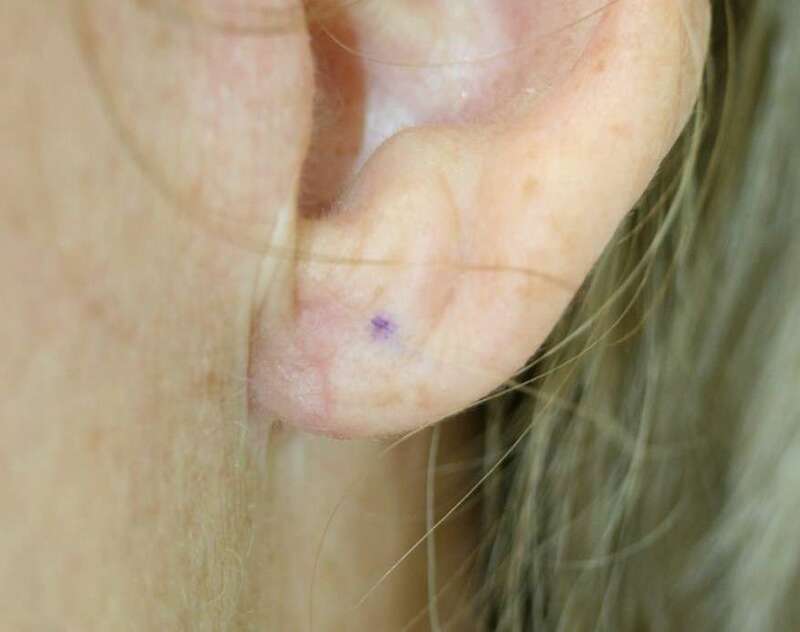 Sometimes, when the whole lobe has stretched and enlarged, it is possible to remove the torn or elongated piercing or piercings and make the lobe smaller at the same time. 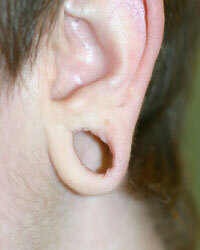 Sometimes, the ear lobe is deliberately made larger by gauging, to produce megaholes or flesh tunnels. This was originally tribal, but has re-entered popular culture in some European societies, particularly in Western Europe and the USA. 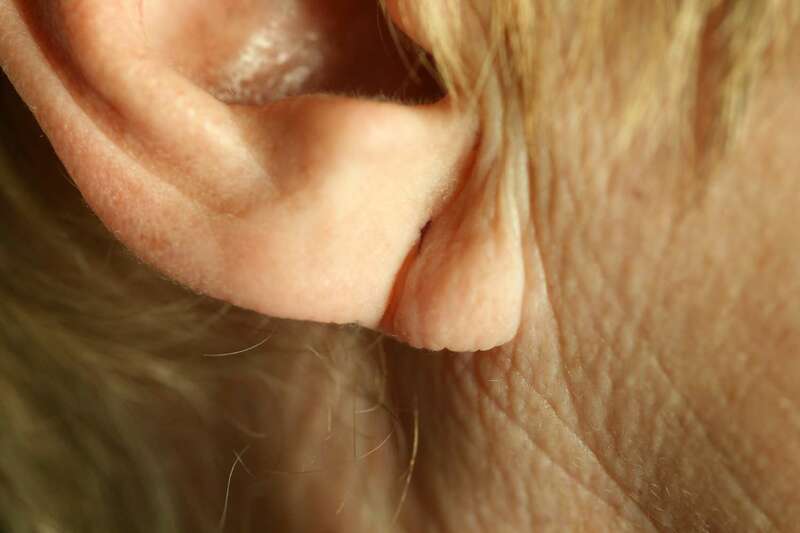 The most common reason to have a megahole closed is to join a club, society or occupation where extreme body modifications are not allowed, such as the Armed Forces, or a sports team. 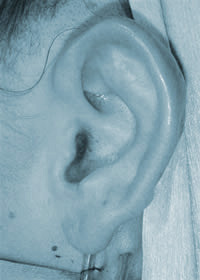 Although it looks extreme, this is relatively minor surgery, taking about 45 minutes per lobe, so it would be unusual to use a general anaesthetic unless the patient was particularly apprehensive of local anaesthesia or unless the main part of the ear was being tackled at the same time - combined ear and lobe reductions are perfectly feasible. 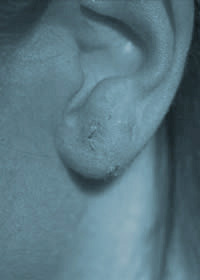 The after photo below on the right is taken at 7 days after surgery, at suture removal.